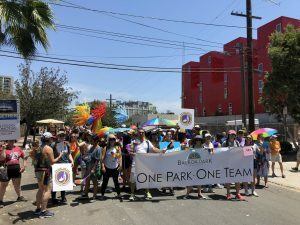 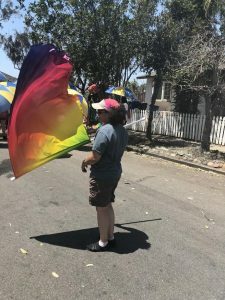 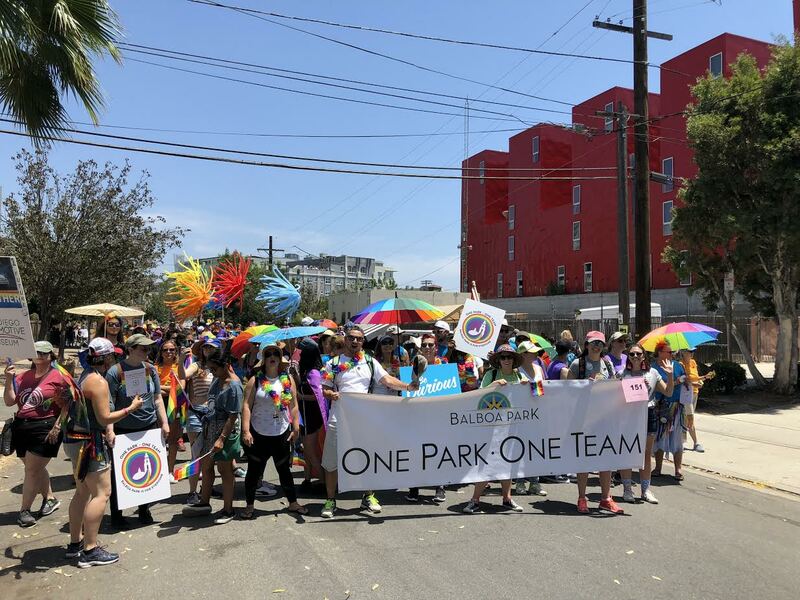 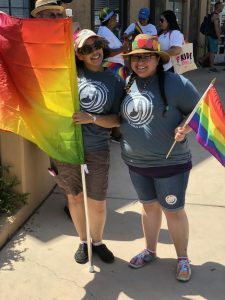 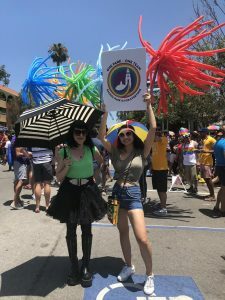 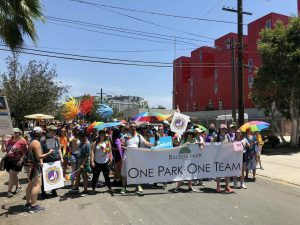 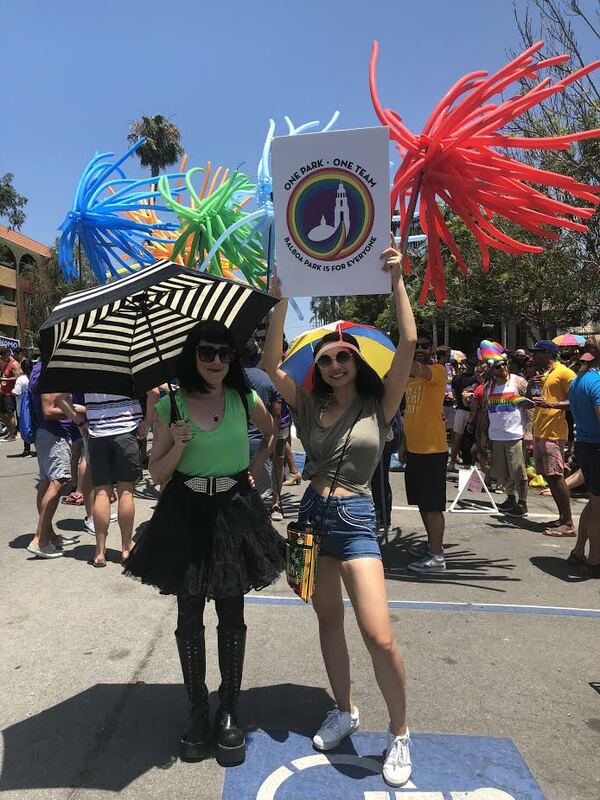 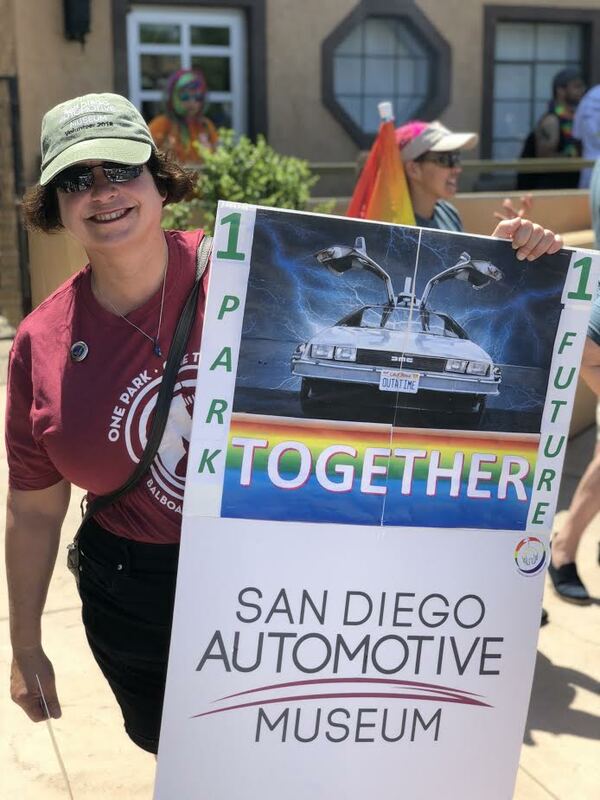 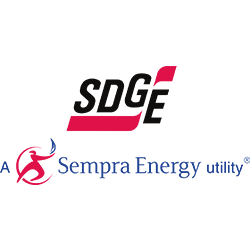 On July 14th, over 50 Balboa Park team members represented One Park- One Team at the San Diego Pride Parade! 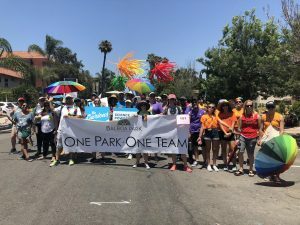 Employees and volunteers from approximately 11 of the organizations came out to march in support of our fellow Park team members and friends, defining what the “One Park- One Team” motto of inclusion and equality means to us. 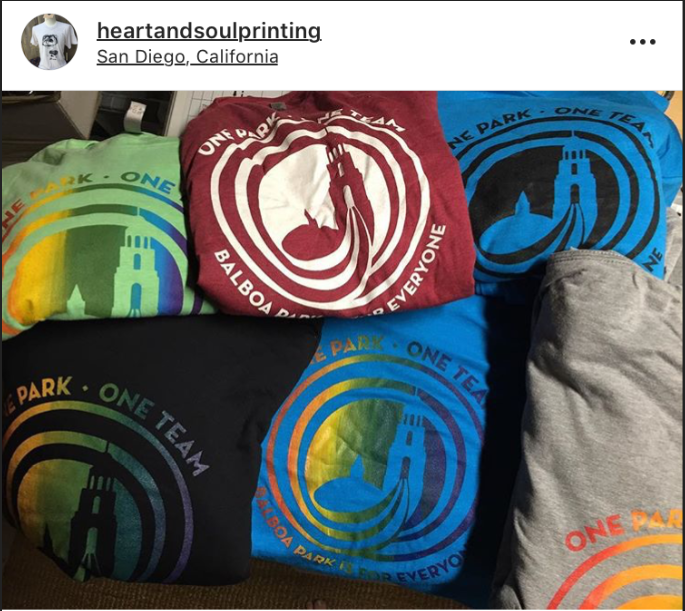 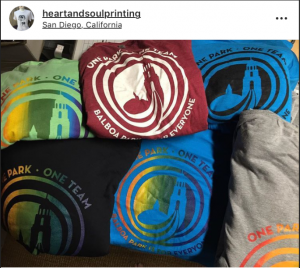 Staff members met up months before the Parade to assist in organizing our contingent and their individual organizations participants, and our Spanish Village Art Center screen printer, Gina Grossini of Heart and Soul Printing, worked with participating organizations to create our “Balboa Park is for Everyone” t-shirts. 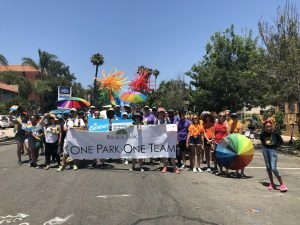 Check out the pictures below from the Parade and see what One Park- One Team means to us!